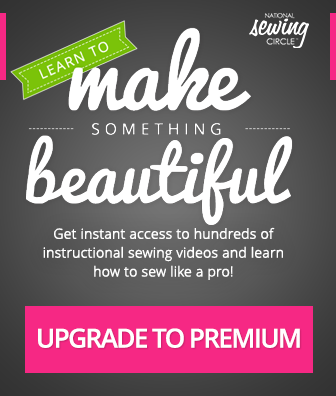 Select your membership plan and get our best sewing videos, projects and patterns with 24/7 access to tips and techniques from our sewing experts, automatic renewal and our ‘cancel anytime’ policy. Ric Rac doesn’t have to be used only as a trim or sewn on in a straight line, rather it can be folded, twisted and wound into beautiful little flowers. Learn how to make a ric rac flower several different ways to use as an embellishment on your next project- Ashley Hough shows you how. All Ric Rac comes in the same wavy shape, however they come in a variety of widths and colors. Mini or baby ric rac can be used to make small flowers while the medium and jumbo widths are better suited for the larger flowers. Ashley shows how to make a ric rac flower that has five to six petals and can have an additional embellishment added to the center. She demonstrates how to fold the ric rac and secure the petals with a hand sewing needle and thread. Working around in a circle, more petals and folded and stitched until the desired number is reached. Ashley then shows how to finish the flower with a small bead or other accent. The second ric rac flower she demonstrates how to make requires two pieces of ric rac to be layered together and stitched by machine. The stitched ric rac is then wound around itself and secured with a hand sewing needle and thread to make a ric rac flower that resembles a rose. Ashley explains that this flower can be made in a variety of size, everything from a small rose bud to a larger flower. How large you make it can depend on where you plan to use it and if it will be combined with more embellishment ideas. The final ric rac flower she demonstrates is the largest flower and requires it to be sewn to a backing circle. This flower lays flatter, however, so it would be great to add to home decor projects like lace towel embellishments. Beth Bradley teaches you how to successfully make bust adjustments. Learn how to make full bust adjustments as well as how to correctly make alterations for specific materials. 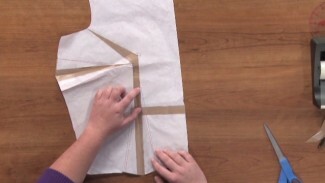 Find out how to identify what pattern sizes you need when making bust adjustments. 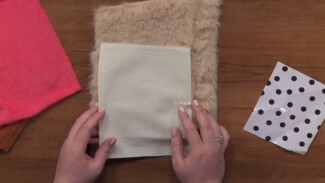 Use these tips to make your clothes be the perfect fit. Colleen Exline adds personality to her work by customizing features in her software program. 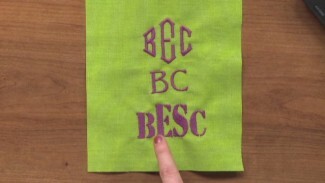 She teaches you how to make two, three or four letter monograms that you can add to any of your sewing projects.